Why not Plan the perfect theme party from beginning to end. 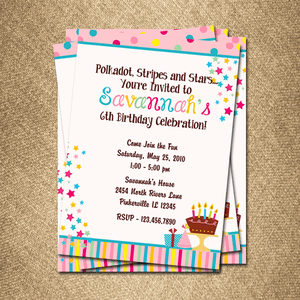 Personalized birthday invitations set the festive tone of your child�s big celebration. We can create other personalized products in the same theme. Contact customer service for details.